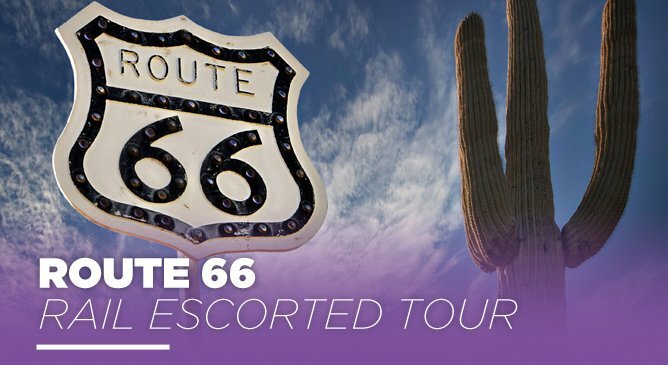 Take a step into American History as you travel along the ‘Mother Road’ - Route 66 on this fantastic escorted rail tour. Route 66 by rail is an alternative for those who want to explore the sites along this famous route but don’t want to drive. Beginning in Chicago and ending in Santa Monica, this 13 day itinerary is jam packed. Take in St Louis, Albuquerque, the Grand Canyon National Park and all the sites in between. Route 66 by Rail tour prices start from €3,999pp. If you’d like more information on this once in a lifetime holiday, call our travel experts today on 01-8173535.